A tricky situation. 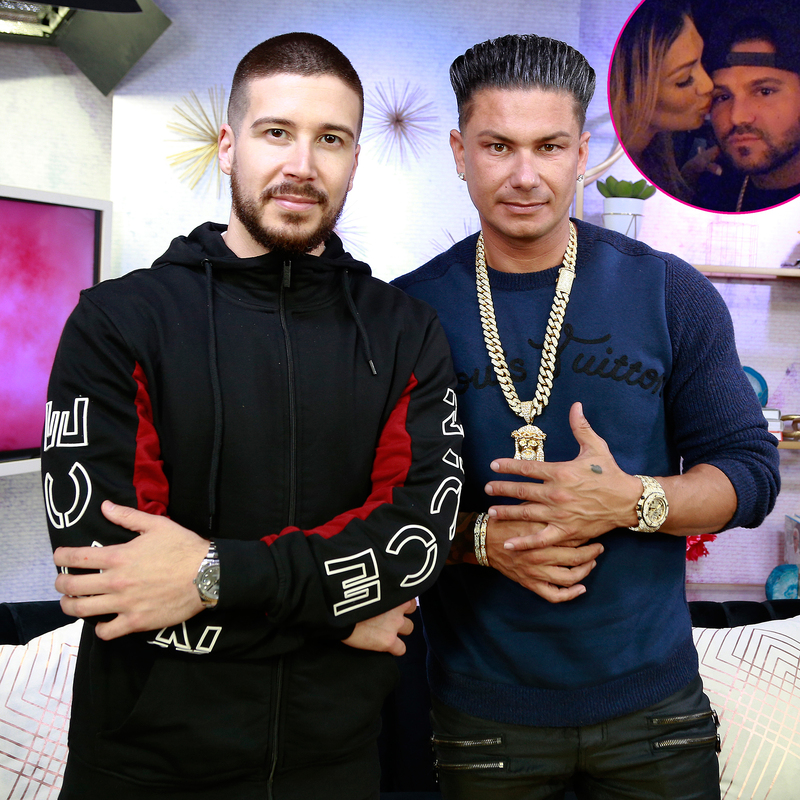 Vinny Guadagnino and Paul “DJ Pauly D” DelVecchio are not sure if their Jersey Shore costar Ronnie Ortiz-Magro and his on-again, off-again girlfriend, Jen Harley, should get back together. While the Control the Crazy author does not know what the future holds for Ortiz-Magro 33, and Harley, 31, who share 12-month-old daughter Ariana, Guadagnino noted that he thinks a reconciliation is possible. Harley and Ortiz-Magro have had several ups and downs in their relationship. In April 2018, the duo accused each other of cheating, and the Instagram influencer was arrested for domestic battery two months later. They split that August after getting into an altercation on Instagram Live. They briefly got back together, but ended up calling it quits again in January following a New Year’s Eve fight. The pair sparked reunion rumors on Saturday, April 6, after they cozied up in Las Vegas. The reality TV personality and Harley also trolled their followers by staging a fake wedding at Vegas’ famous Tunnel of Love at the Little White Chapel as an April Fool’s Day joke. Double Shot at Love With DJ Pauly D & Vinny premieres on MTV Thursday, April 11, at 8 p.m. ET.